Bihar Board Scrutiny Online 2019 - Here Full Details How To Online Class 10th Scrutiny 2019 online. If You Fail in exam Class 10th Bihar Board giving you again chances to cleared your result pass. Full Details To Online Your Scrutiny From home. No Need to go school and college fill form. 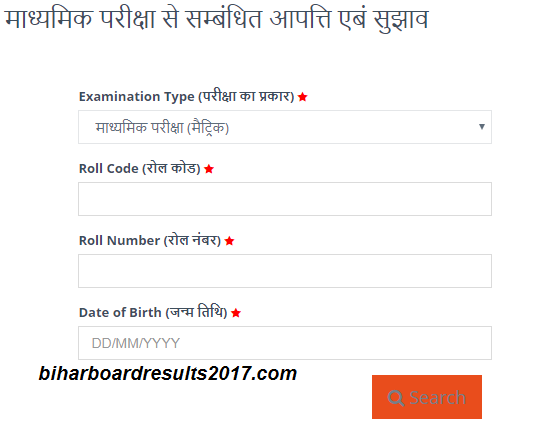 Bihar Board Already Started Online, then Why You taking time just follow all steps carefully. What Requires To Process Online? You Need Some Below Information To Online Your Scrutiny. Bihar Board Charge Per 70rs Copy. If You Want To Recheck your Copy or any suspension to your result is not good then must try your luck. Follow All Steps carefully to Online Your Scrutiny and recheck your copy by the board. if You have any issue please comment below we surely help you. Maine pucca social science me 93 marks aana tha lakin board ne 87 marks dia hai.hindi me mera 91 marks aana tha lakin only 76 marks dia hai .aur science me only 74 marks dia hai lakin aana approx 85 marks tha. Mugh ko 430 aana tha board ne only 389 marks dia hai .. .. ..
Hmko bhe challange karna hai...... .
Sir ek result incomlete aa raha hai iske liye kya karna padega ..plese help me. Online Scrutiny ka site kam nahi kr rha hai..
ek site dikh rha h..
Ye v kam nahi kr rha h..
isi wajah se galiya milti hai bihar Board ko.